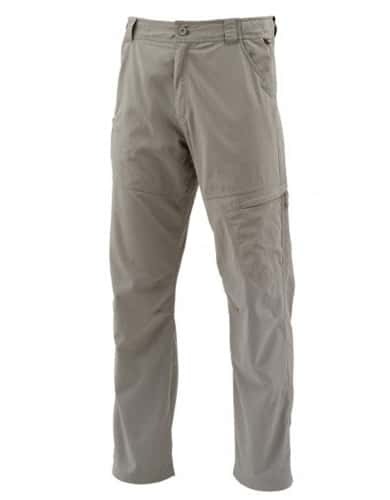 The Simms BugStopper Pant contains wicking properties and is designed with UPF50 sun-blocking protection and is also anti-odor, all great qualities to have in a quality Simms pant. The Simms BugStopper Pant is designed with a welted, zip-secure thigh pocket and has a cell phone pocket and slash hand pockets. Also included with these fishing pants is a self-fabric overlay at the hand pockets to provide anglers with added abrasion resistance. The Simms BugStopper Pants are also designed with an articulated knee and an adjustable waist. The inseam of these fishing pants are 32 inches. If you are searching for a quality fishing pant, then make sure to check out the Simms BugStopper Pant.